But will playing alcoholic games such as Beer Pong lead to alcoholism in the future? Scientifically, that kind of connection is difficult to prove, because many other factors can lead to it. But it is a fact that when underage drinkers play a drinking games, that’s when they are most likely to binge. 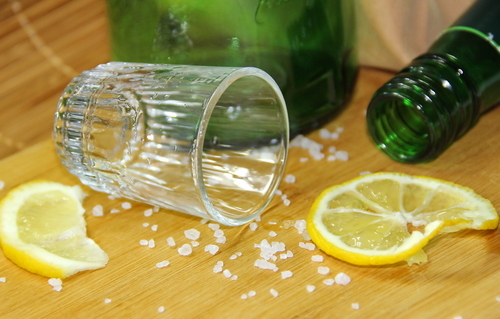 Binge drinking is when an individual has drunk enough alcohol to be over the legal limit. That’s roughly 5 drinks for men and 4 drinks for women, in one session. Statistics show that about 90% of the alcohol that is consumed by underage drinkers is in the form of binging. All drinking games encourage binge drinking. What are some Drinking Games? Everyone knows about Beer Pong, which has been a staple of college parties for years. But lately there have been other drinking games which are much more dangerous. In this game participants film themselves drinking a very large amount of alcohol, and then they post the video to social media, along with a challenge to their friends to do the same in 24 hours. This has led to some outlandish and dangerous stunts such as drinking alcohol mixed with motor oil. Usually played when a participant turns 21, in this game the individual is encouraged to drink 21 shots of liquor in one night. This leads young people to drink far more than they can handle. Often played in colleges, this game has young drinkers taking a shot of beer every minute for an hour. This adds up very quickly and leaves the player highly intoxicated by the end of the hour. This is a game which has spread due to the internet and social media. Participants pour vodka in their eyes in an attempt to get drunk more quickly. Needless to say it can cause some real damage to the corneas and even loss of sight. Taking the name from the Johnny Depp movie Edward Scissorhands, this game is where participants duct tape a 40 ounce bottle of malt liquor to each hand, and must drink them both before their hands can be freed. Due to the nature of the game, it makes the participants drink dangerously fast. It is clear that these drinking games are unsafe and can lead to impaired judgment, drink driving and even fatalities. The teens and young people playing these games don’t often think about the consequences of drinking games and binging. Hired Power can help you overcome peer pressure surrounding binge drinking. Help is available. Call us at 800 910 9299.